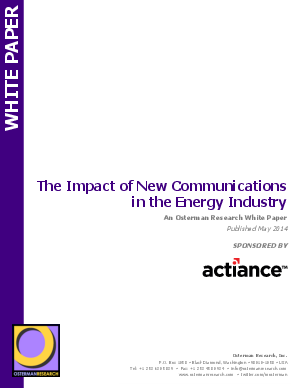 The use of instant messaging in the energy industry is widespread, with one source estimating that as much as 60% of trading in the physical power markets is conducted using the technology. Moreover, a Microsoft/Accenture survey found that 34% of oil and gas professionals are collaborating more than they were 12 months earlier, while only 10% are collaborating less. While real-time communications, such as instant messaging, are very useful for traders and others in the energy industry, a failure to monitor and retain them along with other electronic communications can result in substantial penalties and other serious consequences.